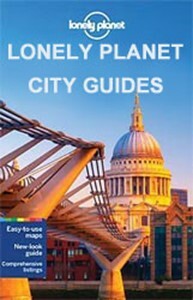 The City Guide Series from Lonely Planet profiles in comprehensive detail the history, major sights, best places to eat, nightlife, accommodation and shopping to an extensive range of cities worldwide. Frank and informal in style, the guides are renowned for their appeal to independent travellers and are written and researched by local authors. Each guide is divided into 11 main sections - Getting Started, Background, Neighbourhoods, Shopping, Eating, Drinking and Nightlife, The Arts, Sports and Activities, Gay and Lesbian, Sleeping and Day Trips and Excursions. The Background section details the history, arts, architecture, environment, media, fashion and government and politics of the city. An ‘Itinerary Builder’ in the Neighbourhoods chapter allows a reader to see at a glance the major attractions of each area and to plan a logical daily schedule independently. Extensive shopping and eating sections are arranged by area and there are contact details, addresses, opening times, page references to the relevant map as well as short descriptions of the more notable shops and eateries. ‘Top Picks’ insets recommend some of the author’s personal favourite places to visit, sometimes exploring places off the beaten track. A detailed ‘Sleeping’ section provides readers with a varied list of accommodation, ranging from budget hostels to high-end hotels and there is extensive detail about price, booking ahead and what to expect from different locations. There are also recommendations for day trips away from the city and other possible excursions outside the urban limits. Appendices offer further practical information on transportation, travelling with children, changing money, embassies, medical services and internet access. A pull-out overview map of the city is also included at the back of the book.